Dallas, Texas, Sep 22, 2018 / 06:19 am (CNA/EWTN News).- While the so-called summer of scandals has hit the Church hard both in the United States and throughout the world, the faith of Catholics at the National V Encuentro in Grapevine, Texas, remains largely unshaken. 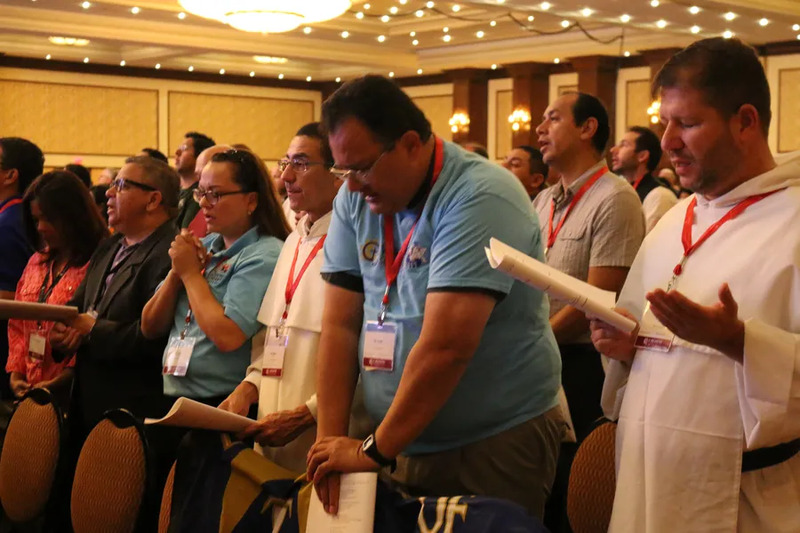 The National V Encuentro, held Sept. 20-23, is the culmination of a years-long process at the parish, diocesan and regional levels of listening to and empowering Hispanic and Latino Catholics. The public disclosure of allegations of sexual misconduct against former cardinal Theodore McCarrick in June 2018 triggered a succession of public accusations that McCarrick had sexually assaulted or abused seminarians and priests over a period of decades, as well as a further accusation that he had sexually abused a minor. Since then, numerous bishops in the United States and Rome have faced questions about when accusations against McCarrick had first been made known to Church authorities, and how he had been allowed to continue in ministry despite widespread rumors of his misconduct. In the midst of this, a grand jury report detailing hundreds of cases of clerical sexual abuse in six diocese in Pennsylvania was published. While the scandals have not been the focus of the V Encuentro meeting, they have been mentioned numerous times in talks and among participants.